Eric Reynolds has either gone off the deep end, or he’s on to something big – really big. His mission? To make Rwanda the first “carbon-negative” country in the world. His method? A cookstove, a for-profit energy company, and four years of serious planning. At 59 (though going on 19 he says, and with his level of energy and enthusiasm I can attest to that one), he’s one of the most “veteran” social entrepreneurs I’ve met. Founder of three successful environmentally-minded companies in the U.S., including the rugged outdoor gear company Marmot, and Nau clothing, he’s done his fair share of building markets and capturing customers. Yet his newest venture, Inyenyeri, a “Rwandan Social Benefit Company,” may be his most radical and toughest challenge yet. In late August, the company launched its initial operations, manufacturing and distributing the LuciaStove, an innovative cookstove invented by Nat Mulcahy of World Stove International, in two small areas in northwestern Rwanda. The stove burns small biomass pellets, which by both the precise design of the stove itself and the biomass makeup of the pellets, heat at such a high temperature that the stove produces a clean blue gas flame. No smoke, no indoor air pollution, no blackened walls, no blackened lungs. The LuciaStove transforms the biomass fuel pellets into something called “biochar,” which is allegedly 80 percent carbon, can be registered for carbon credits, and used as a soil amendment to agricultural land resulting in increased crop yields. 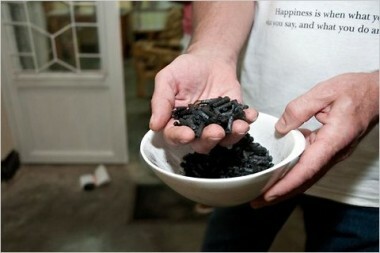 Biochar has been praised widely from many environmentalists and according to one study has the potential to decrease greenhouse gas emissions by 12 percent worldwide. In working towards the Millennium Development Goals, one area that the country is deeply struggling with is energy. Some 86 percent of the energy balance of entire country is biomass for cooking – things such as wood, charcoal, and assorted dried plants and brush. Despite the hundreds of millions of dollars that Rwanda has invested in electrification efforts, by 2020 the grid is only expected to reach just 35 percent of the country. In addition, according to the Rwandan Ministry of Health, more than 34 percent of the rural medical clinic visits are related to acute pulmonary illness – a direct result of indoor air pollution. Inyenyeri hopes to solve both problems, simultaneously. Since rural families are already collecting this biomass anyway, and because of the efficiency of a LuciaStove, families will need to collect significantly less biomass than they are currently collecting. And, because of the biomass type required for the pellets, they won’t need to cut down any trees or plants in the process. People will simply collect the fallen biomass near their homes, and drop it off at an Inyenyeri Hub. Their ambitious hope is that 80 percent of Rwandan households would need to travel no further than 2-3 km to reach their closest Inyenyeri hub. When they turn in the biomass, they will receive the fuel pellets for: free. After using the pellets to cook, they return the leftover biochar, and receive “credit” at the Inyenyeri Hub, which can be used to purchase solar lights, rechargeable batteries, water filters, school vouchers, and other “socially beneficial” products. This sounds like a lot of “free,” and it is; but Inyenyeri is dead set on becoming an extremely profitable energy company, not another charity selling cookstoves. They believe that the rural customers are doing their part in collecting the biomass, and thus receive the free pellets (pictured right). Urban customers, on the other hand, won’t be collecting biomass, and will therefore have to pay for the pellets. Even so, the pellets are 50-75 percent the price of charcoal for an urban household, making it an economically sensible option for them. And, of course, a smoke-free option. According to recent tests by Inyenyeri, as little as 400 grams of fuel can burn for about an hour and a quarter, bringing three liters of water to a boil in hardly 16 minutes. Reynold’s plans for Inyenyeri are aggressive- his vision is to see over 300 Inyenyeri “Hubs” across the country by 2020. The whole model, research, and strategy for Inyenyeri is far too complex for me to explain in this simple blog post; yet spending several days and nights with Reynolds over the past few months at his new home in Gisenyi, Rwanda, my barrage of questions were never left unanswered. He’s dedicated the past four years of his life to making sure the business plan has not a single loose end- in the same way he went about launching his successful retail companies in the U.S. If all goes according to plan, with just 40 percent of Rwandans using this technology, Rwanda could actually become the first “carbon-negative” country with the amount of carbon captured through these stoves. If it doesn’t, Reynolds may need to find another way to save the world. His track record as a serial entrepreneur demonstrates his ability to develop a product like Gore-Tex and make it a hit for extremely rugged explorers and middle-class outdoorsy folks alike. 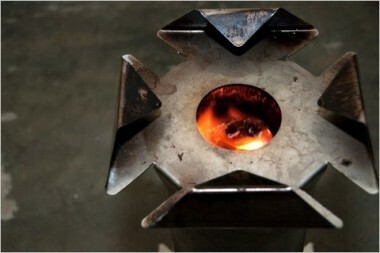 Income-generating cookstoves for the poor, however, might be a different sell.